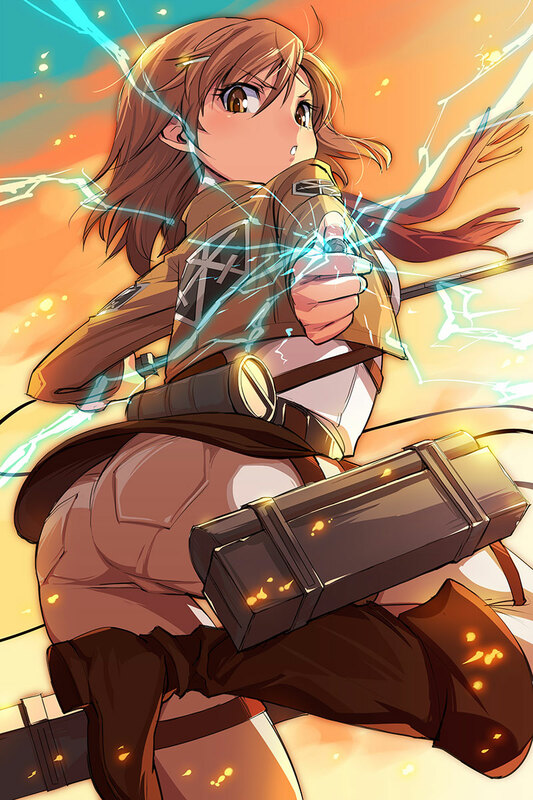 Crossover fan art featuring Misaka Mikoto – character from A Certain Scientific Railgun – in a costume from the Attack on Titan series. A Certain Scientific Railgun manga began serialisation in April 2007. 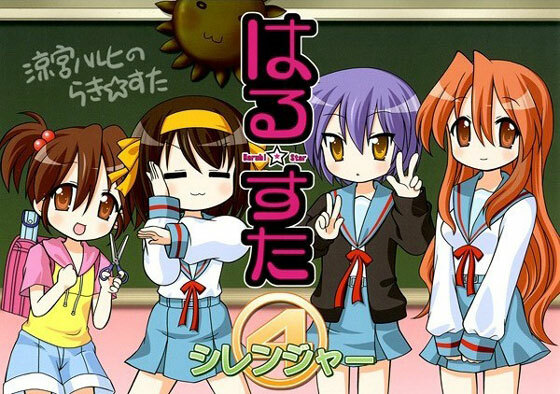 The anime first aired in October 2009, followed by a sequel in April 2013. The Railgun is a spin-off of A Certain Magical Index light novel series though. Hence, the Misaka Mikoto character appeared as early as 2004. Meanwhile, Attack on Titan started as a manga in August 2009 and adapted into anime in April 2013. The anime became a huge hit. A short nendo-story by figurine photographer Sheng. 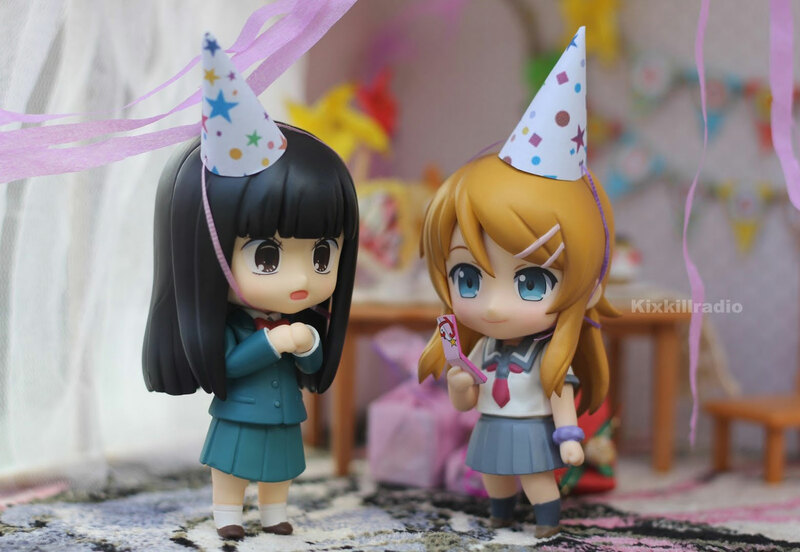 It’s a birthday party for Mirai Suenega, Culture Japan’s mascot; a surprise by Kirino (Oreimo), Menma (Anohana) and Sawako (Kimi ni Todoke). Cute fan art of Mio Akiyama, from the K-On! anime and manga series. 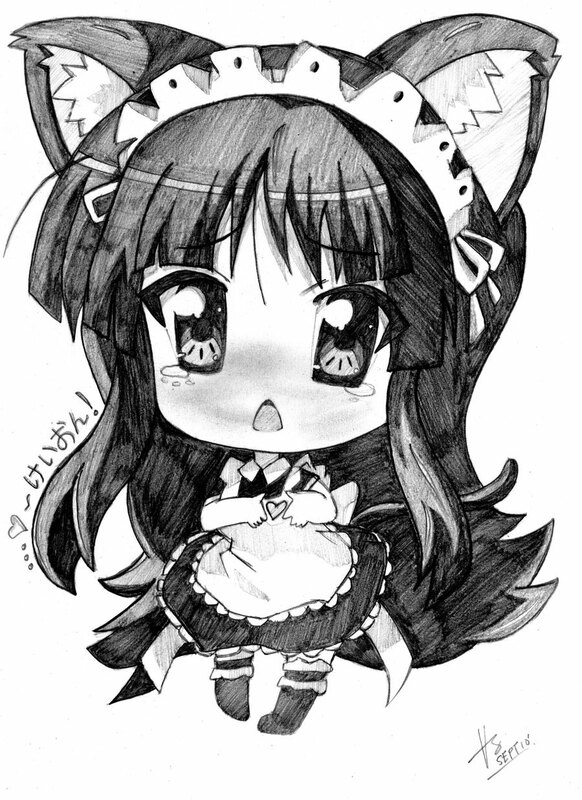 Probably inspired by the moe moe kyun thing. Video of K-On anime characters doing the Miku Miku Dance. Haruhi Suzumiya and Lucky Star crossover fan art (not by me). The school uniform is from Haruhi series; but the pose and background are from Lucky Star’s opening theme. The characters are a combo though. It looks more like the Haruhi gangs at first glance but there are features from the Lucky folks too. BTW, Kadokawa published both the original manga, while Kyoto Animation produced both the anime series.